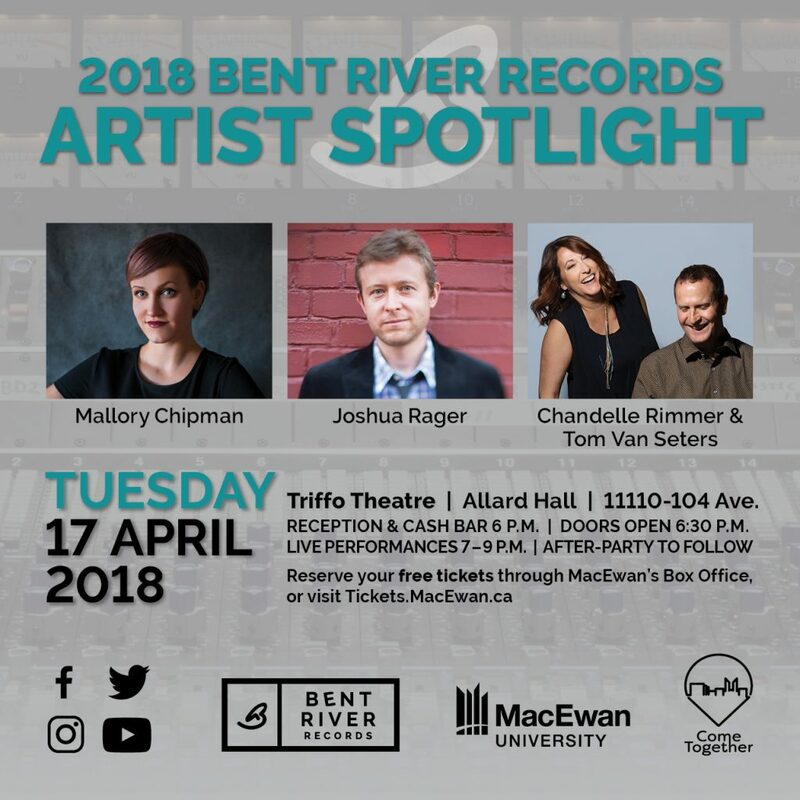 Well everyone, the time has come again… You’re cordially invited to our 2018 Bent River Artist Spotlight! It will be an evening full of wonderful music brought to you by three of the artists on the Bent River Records Label. Montreal-based Joshua Rager will be performing music from his latest release, Jondo; Mallory Chipman will once again grace the stage by performing tunes from Rags and Feathers: A Tribute to Leonard Cohen; and Tom Van Seters and Chandelle Rimmer will captivate the audience with music from their first release together (and the latest Bent River Records release) Stillness Falls. The event will take place in the Triffo Theatre on Tuesday, April 17th. There will be a reception and cash bar at 6:00pm, and the live performances will begin at 7:00pm. Make sure that you go online to the MacEwan Box Office and reserve your free ticket. We also will have a booth set up where you can purchase BRR merchandise, and the albums on the BRR Label.